The Economic Community of West African States (ECOWAS) held an extraordinary meeting yesterday to sign off a final draft of an emergency plan for military intervention in Mali. 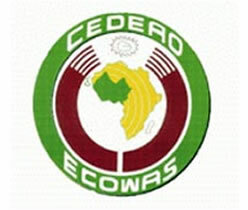 ECOWAS leaders meeting in Abuja, Nigeria committed upwards of 3300 troops to wresting power back from the rebels who took control of the West African country in a coup in March this year. This is in line with the UN Security Council recommendations laid out earlier this year. The timeline for deployment of forces to Mali remains unclear as it will not go ahead without UN Security Council approval. According to reports the US and France will provide support in the form of air power for the military intervention in Mali. Islamist rebels took advantage of the lack of leadership in the nation following the March coup to impose their own hard-line brand of Shariah Law in the nation. All music has been banned, women are beaten for not covering up appropriately and alleged thieves have had their hands amputated. In addition World Heritage sites in and around Timbuktu have been vandalised by the rebels.